The Bridge Control Station is situated on the starboard side of the Bridge. 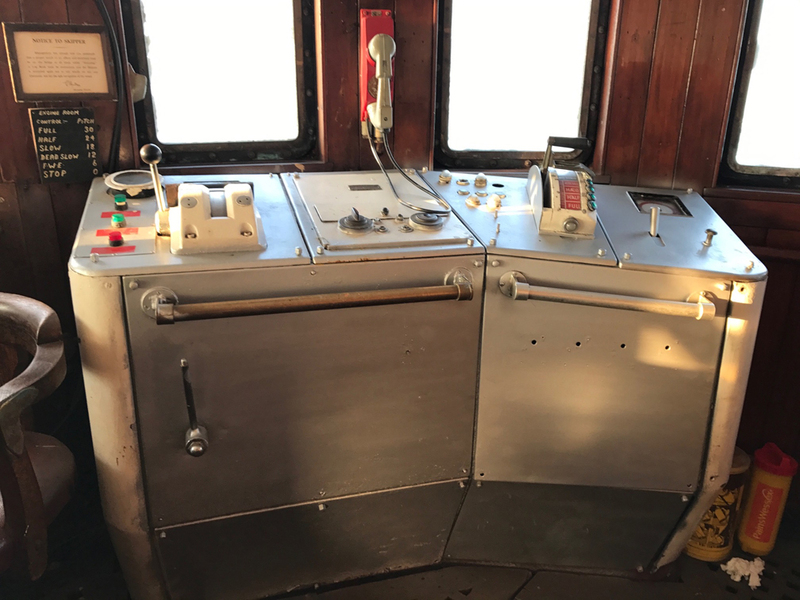 With the starboard bridge door open this control position provided a perfect view to the stern of the ship. As you can see from the right hand side control panel, telegraph was also provided at this position.